Upscale Mexican restaurant and tequila house Agave Azul Cocina y Tequileria has an exciting third location in the works: downtown Dallas, on the ground floor of the new Lone Star Gas Lofts, being renovated by developer Ted Hamilton. Agave Azul currently has locations in Carrollton and Flower Mound. Spokesman Fernando Salazar confirmed that the third branch would open downtown, hopefully by January 2015. The Lone Star Gas Lofts are a project of Hamilton Properties in partnership with Central Dallas CDC. It's located in a block on Harwood Street, between Wood and Jackson streets, across from the First Presbyterian Church and school complex. Two of the buildings, the Lone Star Gas Co. and Dallas Gas Company, are historic landmarks, with art deco details. The buildings have been empty since Atmos Energy moved out almost 10 years ago. 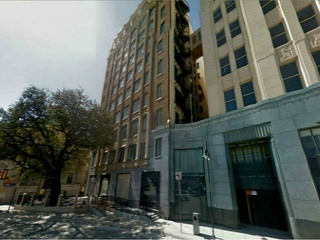 Hamilton Properties' previous renovations include the DPL Lofts in the Dallas Power & Light building on Commerce Street nearby, as well as the Davis Building apartments on Main Street. Named after the blue agave tequila plant, Agave Azul is known for its selection of more than 200 tequilas and its traditional Mexican cuisine. Its signature dish is sautéed shrimp with tequila cream sauce, and its margaritas regularly make "best" lists. The menu at the downtown location will be similar but not identical to that at Agave Azul's other locations, Salazar says. "This is a different ballgame," he says. "The clientele downtown will be different, and so will the presentation." Downtown does not lack for Mexican food, with three restaurants right on Main Street, including Wild Salsa, Iron Cactus and Sol Irlandes. But there are few restaurants on the southeastern edge of downtown, not far from the Farmers Market, where the Lone Star Gas complex sits. The original goal was for Agave Azul to be open by mid-December, but construction on the kitchen is not yet complete. The 900-square-foot patio opening on to Harwood Street is mostly finished, and there's seating for about 80 inside. Salazar says that owner Zotico Reyes has had plans all along to open a branch in Dallas. "That's been his plan for years, but it's all about timing and location," he says.